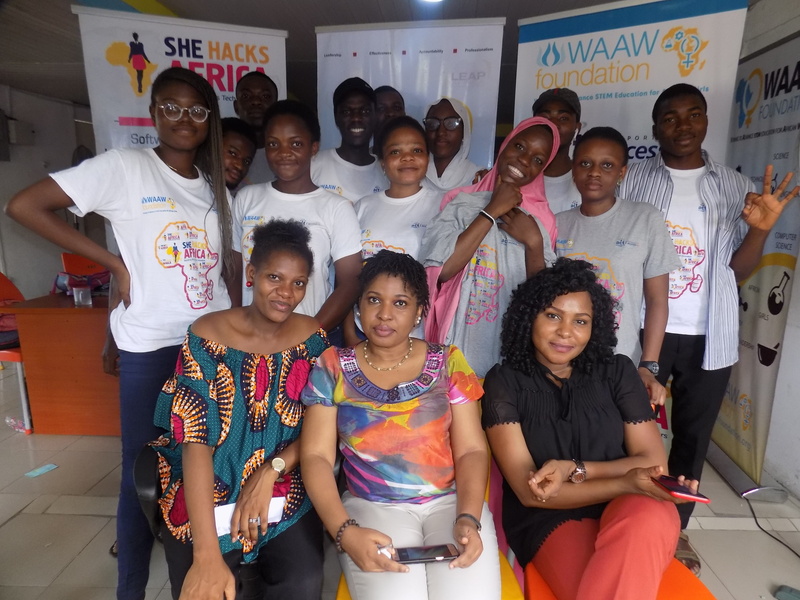 We all walked into SHA (She Hacks Africa) with the aim of developing our coding skills but in one class, we discovered that the SHA initiative was more than that. We were introduced to WAAW Foundation and also the SHA initiative which is aimed at reaching the UN’s Sustainable Development Goals 4, 5 and 8 which are Quality Education, Gender Equality and Decent Work and Economic Growth respectively. There is just one word for our instructors (Ms. Tolu, Mr. Bolu and Ms.Funke) and that word is AWESOME. Their ability to break complex ideas into their barest form making it understandable for even beginners is remarkable. More remarkable is their hands on approach which helps to ensure that everyone is learning at the same pace. We were also graced with the presence of guest instructors from LeapAfrica and also Aref’s Cuisine who lectured us on Design thinking, Business planning, Leadership skills, Entrepreneurship and also Business Management. We were encouraged to learn teamwork as we were divided into groups and as a way of practicing what we have been taught, we were instructed to find a problem in our society, attempt to solve it through technology and also make money from it in the process-Social Entrepreneurship. Over the span of five days, we have been taught to write in HTML and style in CSS. We have become problem solvers and practical thinkers using our mind and skills for good. From our exciting and intellectual icebreakers to our funny dancing to our wonderful lunches and bright conversation, SHA has proven that you can work and play and still reach your maximum potential. It’s been just one week and it’s already a beautiful experience. We cannot wait to see what next SHA has for us!